The coast areas of China took the lead in developing and exporting computer products based on comparative advantages. However, with the rising of wage, land price and environmental standards, as well as strong incentives of local governments, a large number of enterprises started to relocate to the inland areas of China. Thus, the spatial pattern of Chinese computer manufacturing had changed dramatically. On the base of export data compiled by the Chinese Customs Trade Statistics, this article investigated the spatial patterns of upstream and downstream computer industry during 2004 to 2013. Based on panel data method this research revealed the role of agglomeration economy and incentive policy in affecting the pattern of computer exportation. The results indicate that: 1) The exportation of upstream computer industry is concentrated in the Yangtze River Delta and the Pearl River Delta while the downstream industry is concentrated in the Yangtze River Delta and Chengdu-Chongqing region. The distribution of the upstream industry is more dispersed. 2) From a dynamic perspective, the exportation of upstream computer industry shows agglomeration-scattered-agglomeration feature as it decreased in the Pearl River Delta while increased in inland areas. Exportation of downstream computer industry is initially concentrated in the Yangtze River Delta and the Pearl River Delta. After 2010, the downstream industry grew rapidly and Chengdu-Chongqing region became the second biggest (after the Yangtze River Delta) export areas in 2013. 3) The influence of agglomeration on both upstream and downstream computer manufacturing was reduced while the impact of policy increased significantly. 4) The developing routines of computer manufacturing in the coastal and inland regions are different. The rise of the former is mainly stimulated by agglomeration under the background of marketization, and the latter is influenced by both agglomeration and policy. 5) Due to the difference of industrial characteristics, the impact of agglomeration on the upstream industry is more than the downstream. This article suggests that with the increasing of cost, agglomeration is gradually becoming not economical. Policy development should be consistent with the evolution of agglomeration economy to realize expected economic performance. The article constructs a greenization evaluation index system which covers four dimensions of green growth, green welfare, green wealth and green governance based on defining the concept of “greenization”. The dynamic evolution characteristics of spatial pattern of greenization process in China are analyzed through using comprehensive index method, entropy weight method, Gini coefficient, coefficient of variation, and NICH index and combined with GIS spatial analysis software. In addition, this paper analyzed the driving mechanism of the dynamic evolution of the spatial pattern of greenization process in China through using the global Moran's I index, spatial econometric model combined with Matlab 2012 data analysis software. The conclusions are as follows: 1) In 2000-2015, China’s greenization level increased from 0.352 to 0.859, of which green growth, green welfare and green governance index fluctuated upward trend, while the green wealth index showed a downward trend; 2) The spatial differentiation features of China’s Greenization in 2000-2015 years changed from “small gap between the low level” to “large gap between the high level”, the greenization level of east and west are high, middle low, a feature of “凹” shape spatial pattern; 3) The economic development, urbanization, innovation investment, market system, globalization have significantly positively correlated with greenization. However the industrial structure (the proportion of industrial output value in GDP) showed a significant negative correlation with greenization. In today’s development of the concept of "people-oriented", it is not only the pursuit of resources, economy and environment sustainable development, but also human sustainable development. Therefore, the ecological efficiency can not only reflect the resources, economy, environment coordination, and it’s better to pursue the sustainable development of people, resources, economy and environment. The sustainable development of human beings is aimed at improving the human well-being and enhancing the happiness of people. Improving people’s livelihood and well-being is the basic starting point and goal of regional economic and social development in China. Therefore, based on the the concept of "people-oriented", we construct human well-being index, which reflects the livelihood and happiness of people, and integrate it into the evaluation system of Eco-efficiency. In order to reflect the ecological efficiency of our country from four aspects of resources, economy, environment and human well-being. Therefore, from the perspective of human well-being, the evaluation index of human well-being will be integrated into the measurement and evaluation of ecological efficiency in China, which can fully understand the changes of ecological efficiency and the statue of comprehensive, coordinated and sustainable development of resources, economy, environment and human in China. We measure the ecological efficiency from year 2000 to 2015 based on non radial and non angle SBM model in China, analyzing temporal and spatial variation characteristics of ecological efficiency in China, and studying its driving factors. The main results are summarized as follows: In 2000-2015, the ecological efficiency of China has been rising slowly and fluctuating, but the overall level is still at a moderate leve. There is a lot of space for improving ecological efficiency. The high value areas of ecological efficiency are mainly concentrated in the East and the West. The ecological efficiency is relatively low in the middle of the region, so the ecological efficiency of the central region needs to be further promoted. In addition to Beijing, Tianjin, Shanghai, Shandong, and Hainan, the rest of the region needs to adjust the mix ratio to improve ecological efficiency. Human well-being has become the first factor in restricting ecological efficiency in some areas. Therefore, human well-being can not be ignored for the promotion of ecological efficiency. The total factor productivity, the change index of technological progress and the pure technical efficiency index of ecological efficiency all show characteristics of fluctuations in the slowly rising, and the scale efficiency change index show a downward trend. The total factor productivity of Sichuan increases entirely due to scale efficiency, and technological progress has a positive impact on other areas excepting Sichuan. To evaluate the spatio-termporal difference of marine eco-efficiency of China and explore its response relationship with the structure of the marine industry, the super-efficiency DEA model, the standard deviation ellipse and VAR model were gradually applied to calculate the marine eco-efficiency, visualize spatially and analyze the impulse response of the marine industrial structure and marine eco-efficiency, respectively. The conclusions are as follows: 1) Marine tertiary industry has a large proportion of gross ocean product in coastal provinces of China, showing an increasing trend during the study. The entropy of marine industrial structure declines in most provinces, which indicate that the development of marine industry in these provinces is stable. 2) In terms of time series, marine eco-efficiency is invalid by and large, but the marine eco-efficiency is relatively high in the year when the marine tertiary industry has a high proportion of marine production. In terms of space, the gravity of marine eco-efficiency generally shows trend of moving to north, indicating that optimization of marine eco-efficiency in the north is faster than that in the south. 3) According to the impulse response charts of coastal provinces, it can be concluded that the impact of marine industrial structure of each province on marine eco-efficiency has finally stabilized. The main reason is that as China’s marine industry structure stabilizes, its impact on marine eco-efficiency is getting smaller and smaller; From the perspective of variance decomposition, the marine industrial structure upgrading in coastal provinces has a higher contribution to the decomposition of marine eco-efficiency variance, and it shows a growth trend, indicating that the upgrading of marine industrial structure has a certain effect on the improvement of marine eco-efficiency. The relationship between the results of time-space evolution and its convergence and divergence should be one of the main directions of human geography in the future. By taking the related data of provincial tourism economy in the Chinese Mainland from 1997 to 2015, comprehensively using the methods of LISA time hopping model, and related quantitative analysis methods, it analyze whether the time-space evolution of provincial tourism economy will lead to convergence phenomenon. The results show that: the relative length of LISA time path in the three major regions of Chinese Mainland presents that the East is larger than the Middle, while the Middle is larger than the West. However, the time path curvature of LISA shows that the Middle is larger than the West, while the West is larger than the East from 1997 to 2015. The time path movement direction of LISA shows that: the spatial pattern of provincial tourism economic development in Chinese Mainland has a weak optimization trend from 1997 to 2015. The spatial cohesion of provincial tourism economy is 0.71 in Chinese Mainland, which reflects the spatial correlation and agglomeration characteristics of provincial tourism economy presenting a high stability situation, and there is a certain path dependence or locking effect. It has a significant δ convergence of provincial tourism economy growth, generally speaking, absolute β convergence is not significant, but it is significant at different time period. In the long run, the absolute β convergence is not significant about tourism economy growth; however, in the short term, absolute β convergence rate appears weak increasing trend. There is a regional differentiation, which the introduction of regional dummy variables has significant influence on conditional β convergence, so it is necessary to introduce other variables for parameter estimation. Regional economy, location and transportation, marketization degree are the main factors that influence the conditional β convergence of provincial tourism economy. There is a downward trend compared with the compound regression coefficient and single regression coefficient, reflecting that the influence factors of tourism economic growth has not well optimized and combined, the external environment still needs to be optimized. There is some relationship between space-time transition and club convergence of provincial tourism economy, and the club convergence of the tourism economy growth in the East and Middle is more obvious. The club convergence will lead to the reduction of the gap in the groups, but the gap between groups will increase. Therefore, the cross regional tourism cooperation, which will break geographical location, needs to be strengthened in the future. The in-depth implementation of the new urbanization and rural revitalization strategy has pushed the urban-rural relationship into a new stage of integrated development. Based on Citespace1.0 software analysis and literature induction method, the paper identified the research hotspots of urban-rural relationship, reviewed the research progress of urban-rural relationship. Which included theoretical connotation and influencing factors of urban-rural relationship, measurement and evaluation of urban-rural connection, urban-rural spatial organization and development mode, and coordinated development of urban-rural areas and promotion strategy. Combining with the social economic background of information revolution and the change of urban-rural relationship in China, we points out that the construction of urban-rural relationship in the new period needs to change the traditional urban-rural relationship centered on the city, promote the integration of urban and rural areas and the formation of a new pattern of equal development between urban and rural areas. Based on this, we puts forward and discusses the construction and overall thought of a new urban-rural relationship toward urban-rural integration development. Then we proposes a framework for urban-rural integration analysis based on elements flow, puts forward the general idea of analyzing the characteristics, pattern and mechanism of urban-rural elements flow, which is supported by flow space theory and new mobility paradigm, multi-source data and visual analysis. The paper emphasizes the importance of measurement and evaluation of urban-rural relationship and the flow of urban-rural elements. The characteristics, pattern and mechanism of urban-rural factors flow, and the regulation and control strategy of the integration development of urban-rural areas are discussed in detail. The paper also explores the construction of the urban-rural integration database, the measurement of the flow of urban-rural elements and their spatial-temporal changes, and spatial simulation and visualization expression and other methods and techniques. This article analyzes the level and types of urbanization of Chinese 285 prefecture-level cities from 2005 to 2014 based on the perspective of city and market, and reveals the spatiotemporal regulation of the evolution of urbanization level in China. The paper explored the relationship between different types of urbanization and economic growth based on the function of non parameter estimation method. The results show that: 1) The spatial distribution of city level in China is discrete, and the spatial distribution of market level shows the “core periphery” structure. According to the equilibrium and synchronization level of city and market, the study unit could be divided into five categories, which are city precedes market, market precedes city, low-level synchronization, medium-level synchronization, high-level synchronization. And we found that most cities of our country belong to the high-level synchronization type. 2) This article reveals the characteristics of urbanization type evolution through constructing a transtion-probablity matrix Markov chain. The first characteristic is that the cities belong to synchronous type shows more stability than that belongs to non-synchronous type. The second characteristic is that the transfer of urbanization type has stages. 3) Firstly, the economic growth rate of low-level synchronous city has cubic function relationships with city and market level. Secondly, the economic growth rate of media-level and high-level synchronous city has quadratic function relationships with its city and market level. Thirdly, the economic growth rate of non-synchronous city has cubic function relationships with city and market level. Therefore, different types of cities should adopt differentiated policies when raising their economic level. Urban land use/cover change (LUCC) and ecological regulation on thermal environment are hot topics of urban ecology and climate adaptation. This study proposed the significances in linking urban LUCC/spatial structure with the thermal regulation of ecological services. In this paper, the research progress of urban LUCC, the role of urban green infrastructure in heat island mitigation and climate adaptability, the integration of observational experiments, quantitative remote sensing, quantitative modeling of process models, and ecological regulation of thermal environment are reviewed. On this basis, a remotely sensed detection methods on urban structure components with high-precision at local or regional scales was proposed. We advanced synchronically implement field observation with satellite transits (e.g., Landsat 8, MODIS) and remotely sensed retrieval of micro-climate, eddy covariance, land surface temperature and other parameters along an urban-rural gradient in metropolitan area. The integration of these parameters into EcoCity V1.0 will be used to examine the mechanisms of the impacts of impervious surface area and green space components, their radiation and surface heat fluxes, and anthropenic heat sources on urban thermal environment, and to analyze the spatio-temporal heterogeneity of urban heat island effect induced by urban expansion of different city sizes and configuration. The impacts of urban high-precision underlying surface with multi-scale (functional zones/land-cover components/configuration and material, etc.) on local air temperature, and radiation and energy budget, the regulating threshold of urban surface structure components for alleviating urban heat island, and the quantitative knowledge of influence of urban LUCC on biogeophysical mechanisms at regional and global scales will be the important prospective contents in the future. So, the effective linking between spatial planning with urban ecology and urban climate will be of significance in this field. The overarching objectives of this study are to identify the ecological threshold on regulating urban underlyding impervious surface area and green space component for alleviating extreme weather heat and improving human comfortability aiming to UN Sustainable Development Goals 2030. This research will promote our understanding of the urban biophysical mechanisms of the urban thermal environment and provide the scientific fundamentals in building livable urban environment and urban ecology security. As the basis of regional development, water-energy-food (W-E-F) is usually a bottleneck too. China’s strategy of sustainable development has been threatened and challenged by the spatially unbalanced distribution and the insufficient total amount of the water-energy-food supply, and the unbalanced socioeconomic development. Each year from 1997 to 2015, three pressure indices (i.e. water pressure index, energy pressure index and food pressure index) were decomposed into three orthotropic vectors by using principal component analysis, and the W-E-F pressure index were then calculated and created by vector synthesis method. For the thirty province units in China (no data are available for Hong Kong, Macao and Taiwan and no energy data for Tibet), after the temporal variations of the water pressure index, the energy pressure index, the food pressure index and the W-E-F pressure index were checked, eight variables (i.e. degree of per capita education, per capita GDP, per capita farmland area, per capita meat production, per capita aquatic product, population density, effective irrigation area, urbanization rate) which related to the W-E-F pressure were employed and three cross-section (i.e. 1997, 2004 and 2015) were chosen to carry out the geographically weighted regression (GWR) analysis. In the three developed GWR models, the dependent variable was the z-score standardized W-E-F pressure index differences between the start year and the end year, i.e. 1997 and 2004 (for model 1), 2004 and 2015 (for model 2), 1997 and 2015 (for model 3), and the eight independent variables were the respective z-score standardized differences (i.e. for the eight employed variables) between the start year and the end year. The factors which influence the variation of W-E-F index can be discovered from the developed GWR models and the conclusions are as follows: 1) The W-E-F pressure index rose initially and then declined from 1997 to 2015. Spatially, the W-E-F pressure decreased progressively from Southeast China to Northwest China, and larger pressure happened in Northeast China and those coastal provinces where urbanization level was higher. 2) The energy pressure index had made more significant contribution to the W-E-F pressure index than the water pressure index and the food pressure index. The energy pressure index was higher in central and east China and the water pressure index was bigger for those provinces in the north of Huaihe river. However, the food pressure index was higher for those coastal provinces in the south of the Yangtze River and for those provinces in west China. 3) In China, the water pressure index rose in most provinces, and the energy pressure index and the food pressure index declined in most provinces from 1997 to 2015. 4) The driving forces of the W-E-F pressure changes were different for the different phases. Overall, the same change direction was observed between most of the variables and the W-E-F pressure index. However, the opposite change direction existed between degree of per capita education and the W-E-F pressure index, so did between per capita GDP and the W-E-F pressure index. The main causes of the increased W-E-F pressure were the increased population density, the changed component of food supply, the conditions of food production and the economic development. The influences of socioeconomic factors on the W-E-F pressure rose progressively from 1997 to 2015. The effectual ways to reduce the W-E-F pressure were to improve the degree of per capita education and to reshape the economic development. In order to compare the differences between the internal and external market structure of the small urban inbound tourism destinations, this article draws on the O-D (Origin-Destination) model of the regional traffic network planning, and then puts forward a inbound tourism O-D model which can reveal the market change processes of the inbound tourism destinations from three dimensions. This article taking two city-destination, Hong Kong, China and Singapore city as examples, analyzed the changes in both internal market structure and external market scale using the statistical data from the year 2005 to 2016. At the same time, the article also constructed two matrices which called “market importance-travel preference” and “market share-travel preference” to compare the market changes of Hong Kong and Singapore. The results showed that from the internal view, the centralization level of Hong Kong’s inbound market has improved in the past 10 years, while the Singapore’s inbound sustained to be more diversity than Hong Kong. In conclusion, this article also discussed the important significance of the O-D modeling for choosing the right inbound market strategy and the pros and cons of concentration and diversity as inbound tourism market polices for different size inbound tourism destinations. Based on the decoupling model, coupling coordination model and spatial response measurement model of industrial towns, the article analyzed the coupling pattern of industrialization and urban space as well as its influencing factors in Xuzhou city from 2003 to 2015 by using the methods of Exploratory Spatial Data Analysis (ESDA) and Geographical Weighted Regression model (GWR). The results showed as followed. Firstly, the decoupling relationship between industrialization and urban space in Xuzhou City had evolved from no decoupling to absolute decoupling, and the degree of coupling coordination between them showed an upward trend, but the coupling effect was not strong. Secondly, the degree of industrialization urban spatial response presented a trend of fluctuating increasing in the town of Xuzhou, and the difference among the various towns increased gradually. Thirdly, the strength difference of industrialization urban space response were forming the pattern of one belt and two wings, and the towns with superior traffic location were particularly significant, which indicated that the endowment basis of industrialization urban spatial response in regenerative resource-based cities had been changing. Fourthly, the low urban space response towns mainly agglomerated in the areas far from the city where the location was unchanged, and it continued to present as cold point areas, consistent with the regional pattern of economic development level. Finally, we found that the degree of influence factors on spatial response of industrial towns had the characteristics of the greatest effects on industrialization urban space response, followed by investment factors, development stage and infrastructure, both showing a trend of weakening, but the influence of various factors showed significant spatial heterogeneity. Based on the efficiency evolution perspective and the adaptive analysis paradigm, the article adopted a VRS model with input oriented and production capacity variable to analyze the environmental adaptive evolution characteristics and the influencing factors of industrial system in the Songhua River Basin of Jilin Province. The results indicate that: 1) From status pattern analysis, the study area was still in the expansion and growth stage, and there were still many counties have not yet reached the optimal scale stage, so agglomeration was still the mainstream development mode of industry and economic in the future; 2) From temporal evolution analysis, the development of industrial ecology in the Songhua River Basin of Jilin Province was slow, and the industrial scale expansion was the key to the promotion of efficiency. The role of science and technology was not significant; 3) From spatial differentiation analysis, the main cities with high comprehensive efficiency and scale efficiency were constantly gathering in the upstream and midstream areas, while the main cities with pure technical efficiency were distributed in the downstream area, therefore, the improvement of comprehensive efficiency was mainly due to the increase of scale efficiency rather than pure technical efficiency; 4) The factors influencing the environmental adaptability of industrial system of the Songhua River Basin in Jilin Province included location conditions, path dependence effects, economic development levels and scientific technology. Traditional ancient villages are the crystallization of Chinese rural civilization. Carrying out this study is particularly important and urgent for the sustainable development and cultural heritage protection of the traditional villages in the ancient Huizhou. The study chose 119 national traditional villages of the ancient Huizhou by Ministry of housing and urban-rural development of the People’s Republic of China official which has already been released as the research object, and took the methods of literature analysis and GIS spatial analysis as the research way. And the distribution characteristics of the traditional villages in the ancient Huizhou were revealed from the temporal and spatial scales, which were mainly used by the method of the GIS technology. And the factors which affected the temporal and spatial distribution of traditional villages in the ancient Huizhou were also discussed. It is found that the spatial distribution of traditional villages in the ancient Huizhou is clustered, obviously in basin, adjacent water as well as the marginal area, and it presents the distribution pattern that the number of the traditional villages on the around is more than the middle. Specifically, Yixian county has the largest number of traditional villages and the highest distribution density, which has formed the main gathering area of the ancient Huizhou traditional villages, followed by the ancient Huizhou district and Shexian county has formed a secondary core area of ancient Huizhou traditional villages. From the time point of view, the Song Dynasty (Northern Song and Southern Song) and the Tang Dynasty are the main period of the formation of the ancient Huizhou traditional villages, these two dynasties retained the most ancient villages, and the scope distribute are also the most widely. Finally, the article focused on the natural environment, population, transportation, urbanization and economic development level and other factors, which ancient Huizhou traditional villages have showed those distribution characteristics. As well as the research has found that the basin terrain with surrounded landscape, the moved central plains immigrants with all ethnic, the road traffic with less development, the relatively backward social economy and the protection policies with local governments are all the very important conditions for the retention and renewal of the traditional Huizhou villages, and to a certain degree, it has already become the key factor for the spatial and temporal distribution that affected the traditional villages in the ancient Huizhou. And in the long run, it is helpful to study the whole distribution of the traditional villages, which can protect the traditional villages in the ancient Huizhou, and it is also helpful to explore the social, economic and cultural development in the historical period of the ancient Huizhou. The growth of urban agglomeration has periodical characteristics and regular pattern, and it develops unevenly in spatial structure at beginning stage, which manifests a core-periphery structure. Harbin-Changchun urban agglomeration is one of the key urban agglomerations that is listed in state-level urbanization planning, so it is of great significance to analyze its spatial structure and measure its growth stage for the practical works. From the perspective of the core-periphery theory, this article divides Harbin-Changchun urban agglomeration into the core area and the peripheral area, then the article uses fuzzy comprehension evaluation method to set up the evaluation index system and the evaluation index standard to evaluate the growth degree and stage of Harbin-Changchun urban agglomeration. Finally, the article discusses the strategic policies for constructing Harbin-Changchun urban agglomeration. The result of the research indicates that the growth of Harbin-Changchun urban agglomeration has the characteristic of 3-core-periphery spatial structure. The core area includes 22 districts and the peripheral area includes 83 districts and counties. Harbin-Changchun urban agglomeration is in the later stage of its embryonic growth stage and urban system is immature. The core area is mainly agglomeration while radiation effect is not strong. The industrial structure in the peripheral area is characterized by convergence, the inter-city accessibility and informatization level are low, the infrastructure is not developed enough, and the development of the export-oriented economy is not sufficient. Regional development in the urban agglomeration is uneven. It is necessary for the core area of Harbin-Changchun urban agglomeration to continue to strengthen Harbin and Changchun as regional central cities and enhance the construction of the central cities. It is also necessary for the peripheral area to be deeply involved in their core area’s economy, improve connectivity with central cities, strengthen regional cooperation, and promote coordinated regional development. In recent years, with the rapid industrialization and urbanization in China, the rapid development of the rural economy and the increase in the incomes of peasants have brought tremendous changes in the production, living spaces, structures and functions of rural settlements, and serious problems regarding the ecological environment. The smooth implementation of urban and rural development strategies will be seriously affected and constrained by these changes. Rural settlement spatial structure reorganization, the integration of urban and rural areas, the evolution of rural settlement spatial patterns and other fields have been hot issues in recent academic research. The method of participatory rural appraisal was adopted in this study. Through field visits and survey questionnaires conducted in 18 sample villages in the south of the Yangtze River of Hunan Province, data on the living conditions and patterns, the facilities for settlements and production, the living patterns of rural residents, and the characteristics and laws of the regional differentiation of rural settlement spaces were collected and analyzed. The results show that the spatial patterns of rural settlements are the basis for the optimization and regulation of rural settlement spatial distributions in the hilly areas of the south of the Yangtze River. Due to the great disparity in resource endowments and geographical combinations, the basis of economic development and cultural tradition in the area, and wide geographical scope, the regional differentiation of rural settlement development in Hunan's hilly areas are more obvious. The regional differentiation rule of the rural settlements in the south of the Yangtze River of China is also evident. Gradient differences lie in the pattern characteristics (size, density, shape), living conditions (housing area, housing structure, architectural features), living facilities (roads, drinking water safety, opening rates of network television, and other basic and public service facilities), production and life forms in the area of basin-hilly-low mountainous , developed-underdeveloped- backward, suburban-outher suburban-remote landforms. Urban heat island (UHI) has an important effect on urban eco-environment, living and production, and physical and mental health of the residents. In addition, urban warming especially summer heat wave caused by UHI significantly affects many aspects of the global economy, such as energy and water consumption, transportation, and social economy. Understanding of long-term trend of urban heat island intensity and its climatological driving mechanism will help the rational urban planning, urban livable construction, and urban sustainable development. Beijing is the center of the Beijing-Tianjin-Hebei metropolitan area, and has experienced a rapid urbanization process in the past few decades. This study aims to elucidate the long-term trends of UHI intensities of mean air temperature, minimum air temperature, and maximum air temperature and the climatological driving mechanism based on 50 years (1967-2016) meteorological observation data from urban station (Beijing station) and rural station (Miyun station). In the past five decades, the UHI intensities of mean air temperature, and minimum air temperature showed a significant increasing trend with the increasing rates of 0.29℃/decade (r2=0.59, P<0.001) and 0.45℃/decade (r2=0.62, P<0.001) respectively. In contrast, no marked variability trend was observed for the UHI intensities of maximum air temperature. Statistical analysis has shown that relative humidity, wind speed, and sunshine duration decreased significantly and air temperature increased significantly in Beijing over the past 50 years, which is conducive to the formation of UHI and the enhancement of UHI intensity. Multiple stepwise linear regressions showed that relative humidity, maximum wind speed, and atmospheric pressure were the key climatological factors controlling UHI intensities of mean air temperature and minimum air temperature, which could explain 92.4% and 87.6% of variabilities respectively. Atmospheric pressure, relative humidity, and sunshine duration were the key climatological factors controlling UHI intensities of maximum air temperature. Under the background of global warming and rapid urbanization, UHI effect in Beijing will further intensify, resulting in more frequent and prolonged summer urban heat waves, which will seriously endanger urban residents' production, life and health. Therefore, it is necessary to consider the effects of UHI on the future urban planning and construction. By optimizing urban layout, carrying out reasonable road system planning, energy planning and ecosystem planning and other measures, we can alleviate UHI effects and reduce high temperature and heat waves harm caused by UHI. The IPCC fifth assessment report (AR5) showed that the global temperature tended to increase in future. Meanwhile, the range of warming in China is higher than that of the global average temperature. It is very significant that understanding the impact of climate change on central heating in China which can provide decision-making advice to supply heating, save energy and reduce air pollution during the supplying heating period. 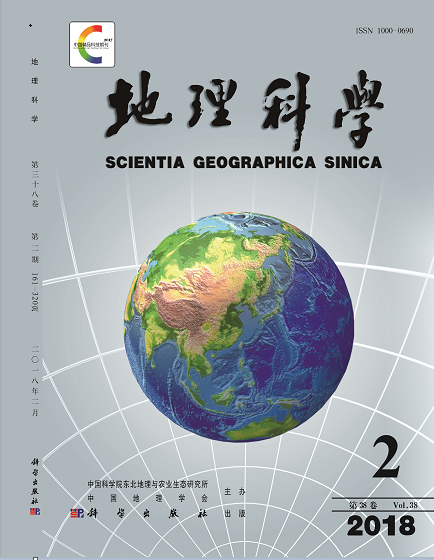 This paper firstly defined the climate index of central heating according to National Central Heating Design Specification, then analyzed the impact of climate warming on climate index of central heating in China based on daily grid meteorological data with high space resolution. The result showed that: 1) The beginning day of central heating tended to delay during the past 55 years in China. The decadal shift of the characteristic line for beginning day from south to north changed very little. 2) The final day of central heating tended to shift to an earlier date. The characteristic line of final day moved obviously from south to north in the east of 110oE which was 200-300 km higher than that in 1960s since 2000. 3) The length of supplying heating period tended to shorten. The length decreased by 10-15 d in the Northeast and North China and that decreased by 15-20 d in Northwest China. 4) The intensity of suppling heating tended to reduce obviously. The intensity decreased by 12%, 20% and 15% for Northeast, North and Northwest China respectively. The intensity was related to winter average temperature closely. According to the variation of winter temperature from 1991 to 2015, the temperature difference (TD) between the coldest and the warmest winter could reach 6.2℃ in Northeast China which accounted for 28.9% impact on intensity of supplying heating; the TD was 3.7℃ and 3.3℃ for North and Northwest China respectively, which accounted for 26.8% and 17.6% impact on the intensity respectively. Climate warming has a significant impact on the climate index of central heating in China. The relative departments should arrange the supplying heating schedule according to weather variation, meanwhile, pay attention to the occurrence of extreme cold events under the background of climate warming to ensure the central heating operate safely. Climate change is likely to lead to an increased frequency and intensity of extreme weather events, including floods and droughts. To investigate spatiotemporal variation of meteorological and hydrological drought as well as the correlation between the two types of droughts, we calculated the standard precipitation evapotranspiration index and streamflow drought index for characterizing variability of drought frequency, coverage, duration and intensity in the Songhua River Area. The results indicate that: 1) Meteorological droughts exhibited an insignificant increasing trend at the annual scale from 1961 to 2010. The meteorological drought experienced higher frequency, wider coverage, longer duration and greater intensity during 1967-1983 and 1996-2010, while occurred rarely in 1961-1967 and 1984-1995. Spatial analysis showed that drought had higher frequency and greater intensity in east region than that in west region, longer duration in central region than other regions. 2) Hydrological drought also showed an increasing trend and have similar temporal-variation characteristics with meteorological droughts. The severity of hydrological drought towards more intensive in the Songhua River Basin and Naoli River Basin during the past fifty years, especially more significant during the past fifteen years. The hydrological drought experienced higher frequency, wider coverage, longer duration and greater intensity in the Naoli River Basin, while less severe in the Songhua River Basin. Therefore, it is necessary to take mitigation measures involving integrated water resources management and regulation to minimize losses caused by the increasing extremely hydrological droughts. 3) Hydrological drought has close relation with meteorological drought, which not only reflected by significant positive correlation but also indicated by 2, 3 and 3 months’ lags response between them in the Nenjiang River Basin, the Songhua River Basin and the Main Stream Basin of the Songhua River, respectively. However, the hydrological drought has no significant correlation with meteorological drought as a result of intensive human activities in the Naoli River Basin.